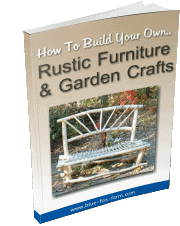 Twigs for Crafts; which is the best for rustic diy? Many types of twigs can be used for twig crafts. I use many native shrubs for wreaths, twig balls and baskets; ornamental trees in your garden can be used too. It’s worth getting a good field guide to help identify the local native shrubs in your area. Once you discover what they are, experiment with them to find out how you can utilize them. Cut a branch or two of any that look promising, and bend them to see how far they can safely be bent before cracking. 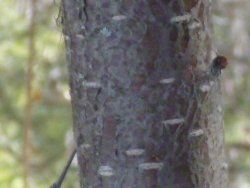 I prefer deciduous twigs from trees that lose their leaves in the fall; conifers such as fir, larch, pine and others tend to have pitch, a sticky resin which is impossible to remove from your hands and anything else it comes in contact with. Deciduous trees and shrubs don't have this type of sap. 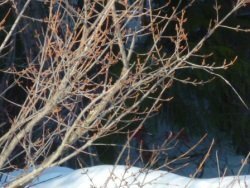 I love Acer douglasii, or clump maple for its red twigs in the spring and straight strong growth, but it will snap under even the least bit of pressure. The best use for the larger stems of clump maple is for legs on tables, twig chairs and benches and potting benches. 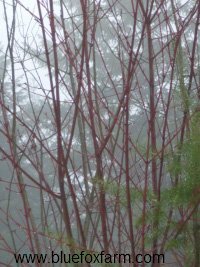 Keep in mind that all the brightly coloured twigs that you see will mellow with age - turning a delightful rust, dull red or pale beige, depending on the species and the stage of growth. Older growth is a pale grey when it has the bark on, pale tan if peeled. Betula, or birch is one of the most beautiful of all native trees; who hasn't seen the paper birch, Betula papyrifera, and it's glowing white trunks? The inside of the bark is beautiful too, and long strips of it are used for bark bows and many other crafts. You can cut this into shapes with a pair of scissors. 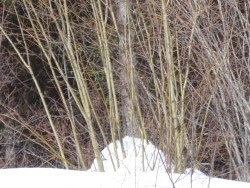 Another nice birch is Betula occidentalis, the river birch, with dark cherry colored bark. A distinctive feature of birch bark is the horizontal lenticels. Birch bark is classed as a hardwood, but is generally considered short lived and easily rots, so isn't used for outdoor projects. 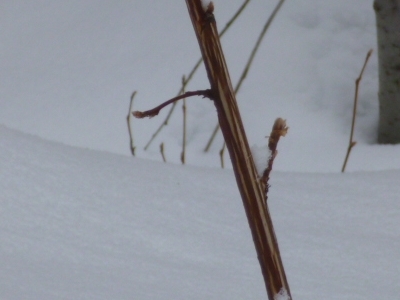 The twigs are fine and delicate. 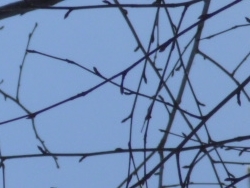 Bunches of them attached to a wire circle made of a coat hanger make a great twiggy wreath with a wonderful texture. 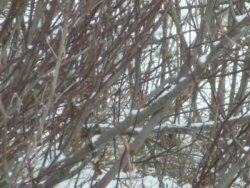 If you’re lucky enough to have Russet buffalo berry, Shepherdia canadensis in your area, these reliable and hardy shrubs can be used for wreaths, very rustic twig balls and baskets. As the wood never gets big enough for anything else, use these as accents on other crafts. Ceonothus sanguineum is a dusky red stemmed shrub that in early summer has the most disgustingly scented sickly sweet blooms, so cutting this shrub back hard to use for crafts is an easy choice. I’d rather have the new growth than the aroma. 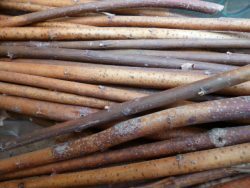 These are flexible and tough, so best used for low fencing around vegetable beds where you can use the base of the stems for the uprights and weave the slender top growth for the sides. 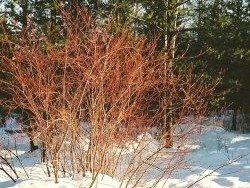 Cornus sericea, the Red Twig or Osier Dogwood is well known for its colourful displays of brilliant red twigs in the winter. Used as an accent or wired together for a jar cover to display flowering tree branches, or to hold pens or pencils on your desk, these are not suitable for most uses that require flexibility as they snap easily under pressure. Corylus avellana, the native hazelnut is useful for long poles such as those required for tool handles, walking sticks or twig fences. Known as a hardwood, the grain is tight and this is very strong wood, highly prized and long lasting. 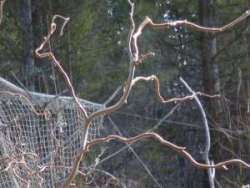 The twisted form, Corylus contorta is also known as Harry Lauders Walking Stick - if you only plant one non-native species, this should be it. 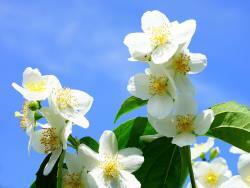 Philadephus lewisii, the Mock Orange has strong straight growth that is perfect for making into bird cages or anything else that requires straight stems. The rough peeling bark is attractive and adds a very rustic look. Physocarpus, the ninebark is also useful for the straight growth of the small twigs. 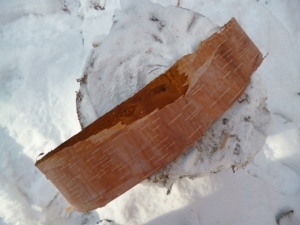 The peeling layers of shredding bark are unique and different; this is a good type of twig for small projects like window blinds or place mats. The interior of the twig is pithy and sometimes even hollow, so they're not strong enough for any kind of structural craft, but they are excellent as an accent or decoration. Everyone knows about Salix, or willows. There are many native species, or ones that have escaped captivity and grow wild in ditches or drainages. Willows love seasonal water, and in some areas, they grow over 8 feet (2 meters) in a season. Long days and adequate moisture through the summer produce the longest straightest canes. They have the ability to trap snow, giving them a head start in the spring, providing moisture for a longer time after the rest of the snow melts. You can see in the picture (top) how it's mounded up over the stool. To keep them in productions, it's best to coppice them every year or two. 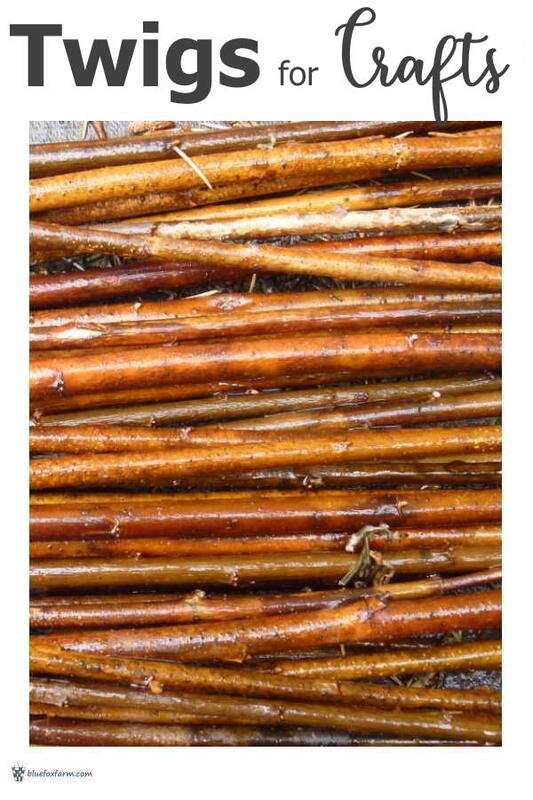 Search for some of these and other twigs for your rustic craft; look for prunings from an orchard, street trees after spring maintenance, or after a storm when trees are pushed over by the wind. Start with a small project to see how they perform for you, and let your imagination be the only limit.